I was driving my 11 year old son Max to his football game yesterday and he mentioned that they were studying "Music History" in school. He went on to mention that they went all the way back to the 1960s ... I told him that wasn't music history, that was still pop music! We discussed the music produced in the 1960s, and he mentioned that they learned about the Beatles, but not about the Rolling Stones (what kind of music class wouldn't mention the Stones?) And it got me thinking. If you saw the blog I did yesterday on REO and short sales in Tallahassee, I provided a map to the distressed home sales in Tallahassee for the past few months. Having this data still handy, I wanted to further explore patterns of where our most challenged homes were being sold. 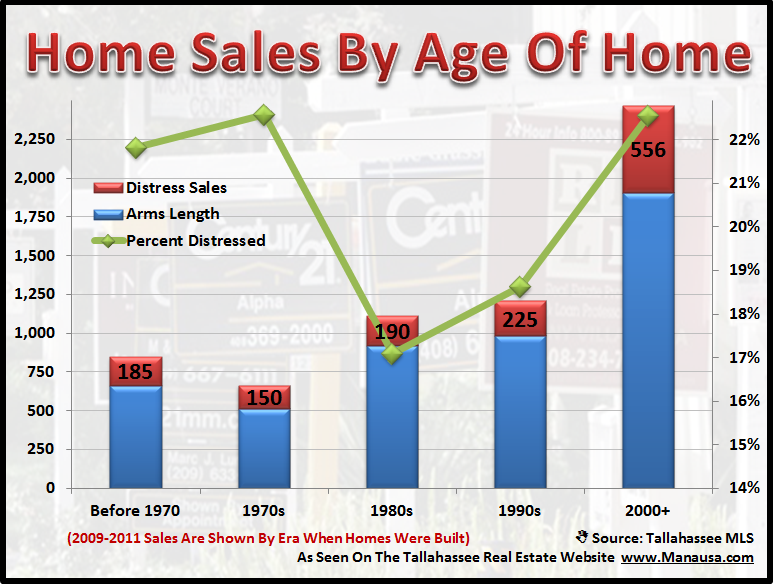 My conversation with Max gave me the thought to compare the age of the homes sold with the level of distressed properties for sale in Tallahassee to see if there was a correlation, and here is what I found. 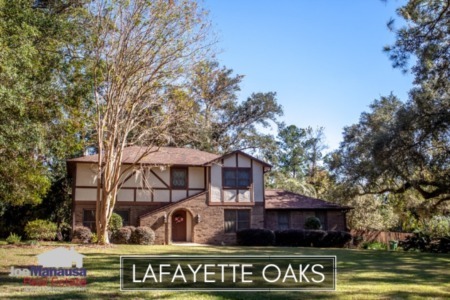 I pulled all of the home sales in the Tallahassee MLS from January 2009 to present to see when they were built, and how many of each decade were distressed home sales. In the real estate graph above, we see that newer homes and older homes appear to be performing worse than the homes built in the 1980s and 1990s. It appears as if the age of the home and the percentage of them being distressed inversely mirrors the quality of the music from that era :), except of course for the newer homes. I think the reason that newer homes are at such a high level of distress is that many new home buyers over the past 10 years were utilizing the easy loan programs that helped created this real estate market meltdown. Low interest ARM products were used by new construction buyers to create a temporary lower payment term, which allowed them to pay the premium for new homes in 2004 through 2006. Now that these adjustable loans are converting to term loans, the payments are out of the range of those who purchased them (gross over-simplification, but definitely on point to the causation). 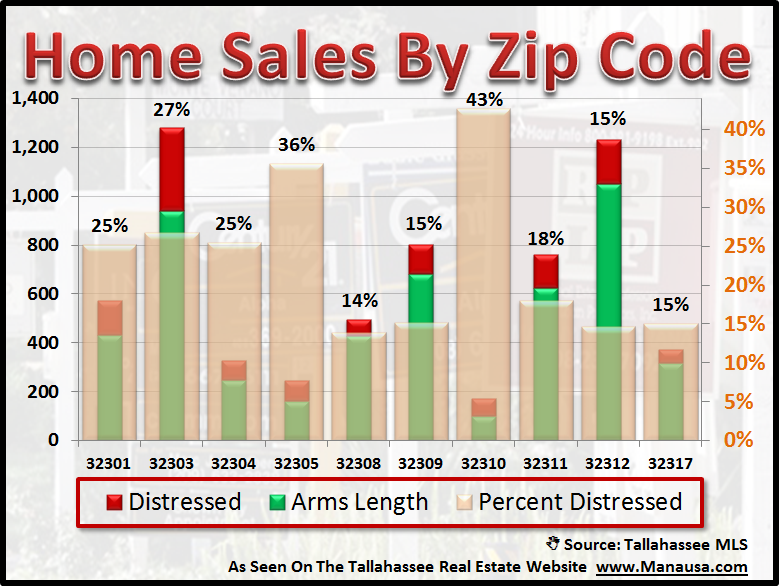 Another interesting view of distressed home sales in Tallahassee is one arranged by zip code. The real estate graph below shows that not all zip codes are equal, with the 32310 zip code reporting 43% of the homes sold were distressed, while the opposite end of the spectrum in 32308 was reporting "only" 14% of the homes sold were distressed. 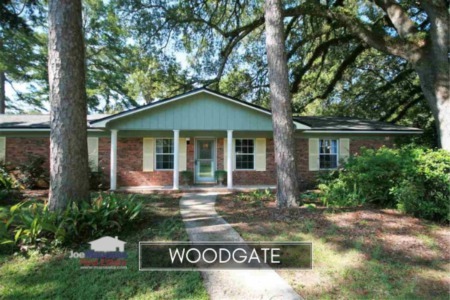 Please check back again for more distressed home sales reports on the Tallahassee Real Estate Website.